The commodities group shuffled its upper ranks in the most significant management overhaul in years. The departure of copper kingpin Telis Mistakidis and promotion of others is a first step towards reshaping the group to cope with the eventual departure of boss Ivan Glasenberg. Ivan Glasenberg, CEO of Glencore, reacts during an interview with Thomson Reuters in London, Britain, October 15, 2015. 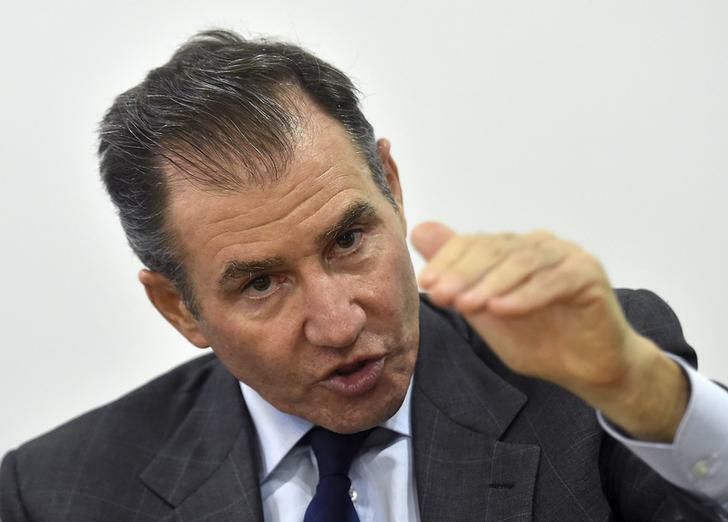 Glencore on Dec. 3 announced a major leadership shake-up alongside a presentation to investors, including the retirement of its long-serving head of copper marketing, Telis Mistakidis, one of the most senior figures in the company and one of its largest shareholders. He will be replaced by Nico Paraskevas. Mistakidis had stepped down from Glencore subsidiary Katanga Mining late last year after an internal review identified accounting problems. The commodities miner and trader appointed Peter Freyberg as head of industrial mining assets, a newly created position. Gary Nagle, who ran Colombian coal business Prodeco before moving to run ferroalloys mining in 2013, will take over as head of coal assets. Glencore shares were up 4.6 percent at 304 pence by 1400 GMT on Dec. 3.